There's gonna be a mess during the shuttle event portion of this event if this isn't looked at. Seeing comments on Discord that the reappearance of this old problem is no longer confined just to shuttles from the Federation faction; it's also happening to Bajoran and Augments shuttles. 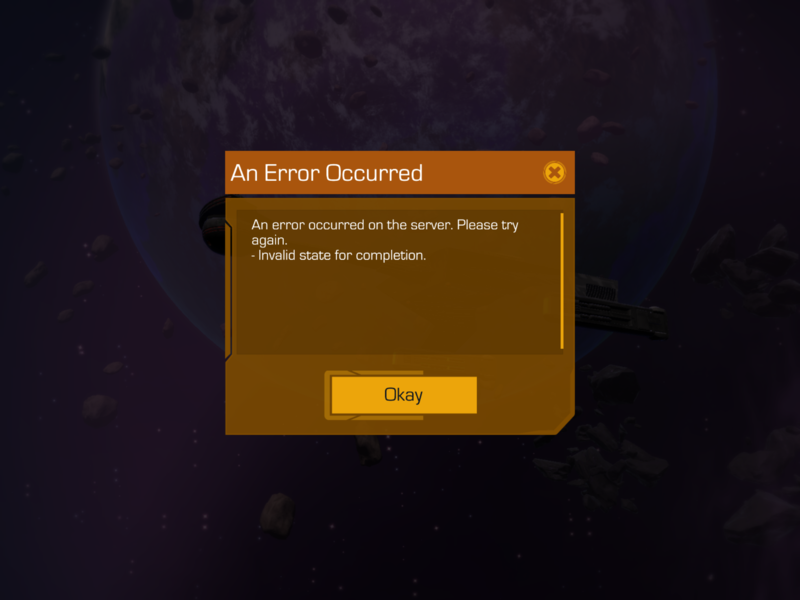 I'm having this issue from Augment shuttle. 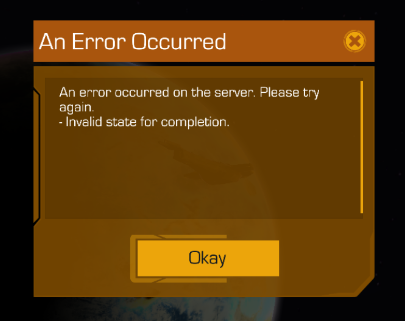 When try to complete it get that 'invalid state for completion' error message. My crew is stuck in shuttle and unusable. Of course FFFE First Officer Burnham is in it which is my best crew by far. Someone in my fleet is reporting this issue too. It happened to me as well today on a Maquis shuttle. And it has 3 of my best immortalized shuttle crew on it - First Officer Burnham, Ahdar Ru'afo and Dahar Master Kang. I'm also having this problem now. This is the first time it's happened to me. I have a Section 31 and a Ferengi Traditionalists mission stuck and won't complete. Please set free my FFFE Surak, Captain Killy, and Assimilated Janeway from the stuck shuttle!!! Unless this issue is fixed shortly I believe it only right that DB should postpone the event. i am also affected. using other devices didn't help. overnight reset didn't help. i hope this is fixed before thursday since i need that crew. i made a ticket to hopefully help expedite resolution. Try again now pretty please, and let me know? It worked! Just claimed mine. Thank-you! Yay, thank you for letting me know!! Got mine back too. Thanks Shan!